Bridging conservatory's and Loading bays. We can provide rubbish chutes, Rope & Wheels, Debris netting, Monoflex, Platform hoists and Alarm systems. 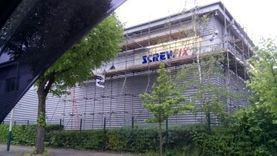 Romford Essex based scaffolding company,We have been trading for over 20 years and in these years we have gained a reputation for being reliable,competitive and professional. domestic, commercial or industrial, however large or small. We have friendly and helpful staff, and our service remains good value for money.One of the things we enjoy most about working in the scaffolding & building industry is that no job is ever the same. However, every job begins with the same friendly helpful attitude. O.R.S Scaffolding carefully listens to there customers requirements and then provides them expert advice, answers to there questions along with free no obligation quotations. Our company holds all the necessary qualifications needed for this specialized field and are fully insured, a copy of which can be obtained upon request. Scaffolding is an essential safety precaution for many domestic building projects, such as house extensions, re-roofing your house and loft conversions. Whether your extending your home,re-painting your house,re-pointing your chimney, replacing your guttering, extending your loft or making any other structural home improvements you need scaffolding as a safety precaution. Scaffolding can also be cost effective and comfortable,why struggle on ladders when your painting your house or changing your guttering and taking an extra week to do it,when working on your house scaffolding makes the job in hand easy and more importantly safe. 40% of our customers are normal house owners in and around London who enjoy doing there own repairs on there homes. Our industrial scaffolding equipment is delivered, erected and dismantled very quickly and provides the neatest possible finish. This not only means that your workplace does not look like a building site for too long, it also keeps the cost down, bringing you very competitive prices. We provide any and all types of scaffolding ranging from the complex to the most simplest projects. 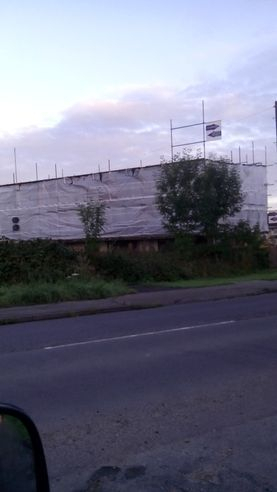 We can cover all your scaffolding needs. Local Roofing companies,Loft conversion companies and General builders. Over the years we have gained valuable experience, happy long term customers and an excellent reputation. There are many scaffold companies in and around London,But we believe we are one of the best. So once you've planned your next development please do not hesitate to contact us.